If you can answer any of the following questions, or have screenshots matching the descriptions listed below, please contact me. Thanks! Beta 1.0: Was AmigaOS v0.7 released at the Consumer Electronics Show (C.E.S.)? Did it come supplied with Textcraft development v1.5 (6/24/85), and GraphiCraft v27 release 06 by Arktronics Corporation? Release 1.0: Complete version/revision numbers for Release 1.0 Kickstart and Workbench (v30.??). Information as to what changes were made in this release. Disk part numbers for Workbench and Extras disks. Beta 1.4 (early): Screenshot(s) of the Amiga 2000 Prefs icon. Beta 2.1: Screenshot(s) showing font-style checkboxes (Bold, Italic, Underline) in the Font prefs editor (Icon Text section). 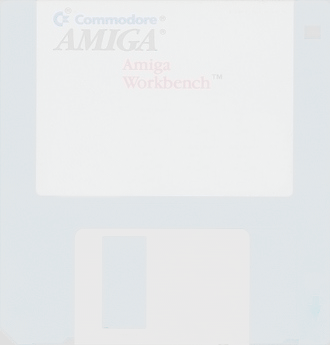 Chris Young pointed out that there is a drawer in the root of the Amiga DevCD 2.1 with no icon, called "ea". Inside here, there is another drawer called "st" etc., in order to spell out "easter egg". Within this, there is a program called "Robocity", which runs a little animation. There are also three small tools by Olaf Barthel, which add specific icons to files, arrange icons and create AmigaGuides. Andrew Bell pointed out a link written by Andy Finkel regarding the AmigaOS predecessor "CAOS".